A Very Strange, yet official version of the Sabres Logo. When looking around at old sports photos, specifically hockey, I always came across Sabres pictures where the jersey crest featured a very odd looking bison. I found that it came around in the late 70s and just vanished. The odd thing is, that there is no official mention of this logo change on SportsLogos.net or the NHL uniform database. The reason? 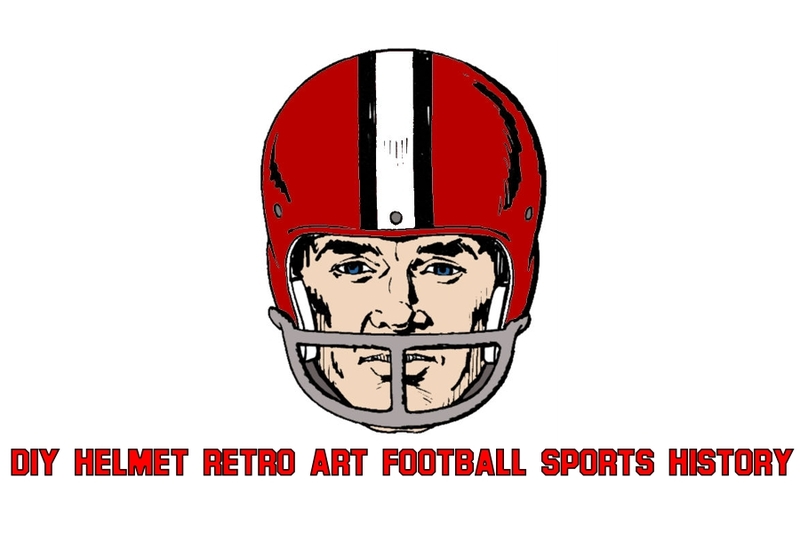 The logo never officially changed, as design extraordinaire Todd Radom pointed out. That’s a fabrication quirk, not a logo change. It turns out this change of the Sabres logo was due to the change in uniform manufacturer who made the slight alteration to the logo, but officially the logo never changed from the original. In fact the Sabres logo changed a lot over the first decade or so and didn’t really become standard until the late 80s. Just goes to show how different of a time it was back then. It seems unlikely that something like that would happen today with digital design and standard league wide manufacturing of the uniforms. As for the goofy version of the Sabres logo, I think it should be noted as an official change. Uniform quirk or not, it existed for a couple seasons and should be on the list of official logo changes. As I mentioned last week, I was in Pittsburgh for a couple days this weekend and as it almost always is when I visit there, the weather was fantastic with sunny skies and temperatures in the 70s. I didn’t get to do much sports-centric things while there, but I did get some great views of the city and Heinz Field. Western PA is obviously known for its football specifically the QBs that come out of the area, but I also think it is interesting that two High schools in the area have celestial names. A little north of the city, is Mars, PA. It is mostly known for its unique name and the roadside attraction that is the flying saucer that sits at the center of town. The people who live in the town love telling people they are from Mars and the very small town gets many visitors just getting a photo opportunity with the flying saucer, visiting the Mars Train Depot or sending themselves a letter from the Mars post office. The town really embraces the Mars thing. The Mars Area high school athletic teams are called the Mars Fightin’ Planets. I tried finding some Fightin’ Planets gear in town, but there wasn’t much to be had. Still, it is a great name for a High School sports team. In addition to Mars, just a little south about twelve miles northwest of Pittsburgh is Moon Township. Where Pittsburgh International Airport is located. The Moon area High School has a very earthbound mascot, unfortunately. The Tigers. It would be way better if they were the Moon Area Cosmos, Apollos or spacemen, but they went with Tigers. They have Clemson-like colors and logos. I was excited to receive one of my latest purchases over the weekend. This amazing printed dress shirt from the early 70s. It is pure 70s polyester style, printed with the Bills Standing Buffalo helmets. When I saw the listing, I knew this was something I needed to have. Unfortunately it was a children’s extra large, so it was up in the air if this thing would even fit me, but worst case scenario it would make for a nice decorative piece. to my suprise, it actually fit me, well sort of. Being a thinner guy the shirt fit, a little tight, but it fit. I probably won’t be eating any large meals in it, seeing as there is little room to spare. The other issue is that I’m a taller guy, to the sleeves are pretty short on my long arms. That is okay though, I will just roll them up and it will work just fine. I also bought some sealed wax packs from eBay. There are a ton of sellers who have unopened packs and you can buy them in lots of about 50 cards. I will be opening mine up throughout this week and posting some “unboxing” videos as all the kids call them. Stay tuned. Last night I watched a real gem of a uniform matchup from November 29th 1981. The Atlanta Falcons visited the Houston Oilers at the AstroDome. This is a great matchup between two of my favorite uniforms of all-time. The Oilers were wearing white and home and still had Snake Stabler and Earl Campbell on the team. As a fellow lefty, I love watching Snake throw the ball. Seems so natural and right. Steve Bartkowski was under center for the Falcons. The other great part is the commercials were included and Summerall and Madden were doing the play-by-play for this late afternoon game. I really miss those guys announcing games, even though it felt like they called Cowboys games most weeks. The game was a somewhat high scoring affair between the 7-6 Falcons and the 5-8 Oilers. The Falcons would come out on top in this contest 31-27. For the 1969 season the Saints debuted a Black helmet for the preseason contests. It was a cool look, although I prefer the old Gold helmets, but it was not to be, as Saints Owner John Mecom Jr. never properly registered the change with the league, which had already planned and released the merchandise line around the gold helmets, so ultimately they were scrapped. Surprisingly, even in the black obsessed 90s, the Saints never brought them back.